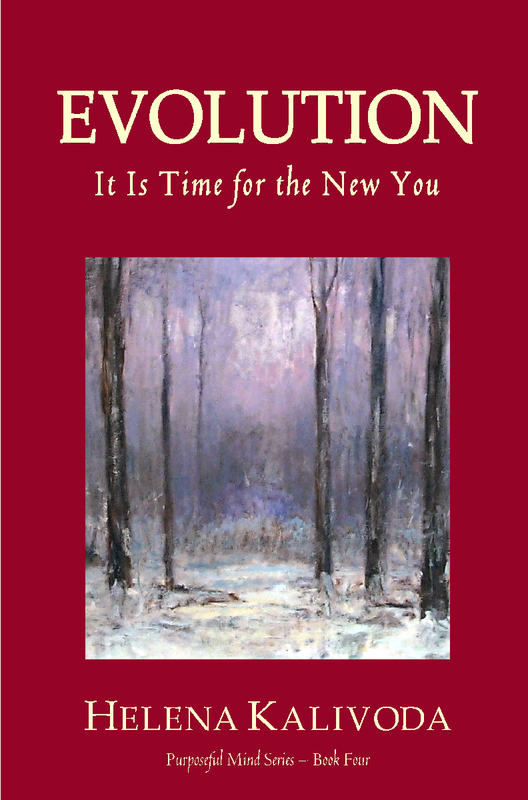 EVOLUTION is the fourth of five books in the Purposeful Mind series. The author has been receiving guidance from the Spirit world for over fifteen years and it has been a time of deep awakening for her. Her wish for you to deepen your awakening process when reading and contemplating on this motivational poetry series. Synopsis: The book contains themes of Time, or rather Timelessness. There are discourses about Earth, Universe, our future New Bodies, about a need of raising our Consciousness, and more. In regards to the verses referring to the Earth evolution, as intimidating and worrisome some of them may feel, the main message is to remember that we, being creators we are, we have a full say which way our destiny will continue. Will we become obsolete through our material greed and relentless exploitation of our planet, or will we rejuvenate our Mother Earth and ourselves and become the race of joyful, caring, one for all and all for one, beings? Only we can answer that to ourselves. Nobody else can direct and set our destinies. to tell you to have a good day. We are travelers through time. We zip from place to place. We are The Time Keepers. We are The Watchers of Time. Time is a variable that does not exist. here, have it all in the linear way. In our time, all happens at once. And what does it mean, you say. if we do not make too much sense. Abracadabra it ain’t, so here it comes. There was time such as ours everywhere. There was time like this a long time ago. That mass created continents on the Earth. That mass created different worlds. That mass is the Universe and it continues to grow. that mass is also me and you. That mass is an omnipotent, everlasting creation. That mass is what is called God. that mass is that which creates you. that mass started as God. Who, then, started that mass? God did, and He is that mass. that there is no beginning and no end. There is not and never will be. Hard to understand? Oh, yes? We bet. Do you know why? You are a linear thinker. You are also a linear promoter of linear thinking. If not, because you are a linear thinker. That is not to say you are worse or better. Remember? You are that mass! With this thought, we leave you and go away again. Don’t worry, call us up by our name.